One Voice Worship was birthed through deep personal loss - Greg’s first wife and Heather’s father, both to cancer. Though their paths along the journey of caring for a terminally ill loved one and ultimately grieving their loss are unique, it was in the midst of these tragedies that God began to reveal a similar and greater purpose for Greg and Heather's lives and began to heal their brokenness through Scripture, prayer, and God's presence found in personal and corporate worship. And so, the paths paved in suffering and weeping led Greg and Heather to a common destination - the feet of Jesus - where they would lay down their burdens and lives as an offering of worship in exchange for God's restoration and Kingdom agenda for their lives. 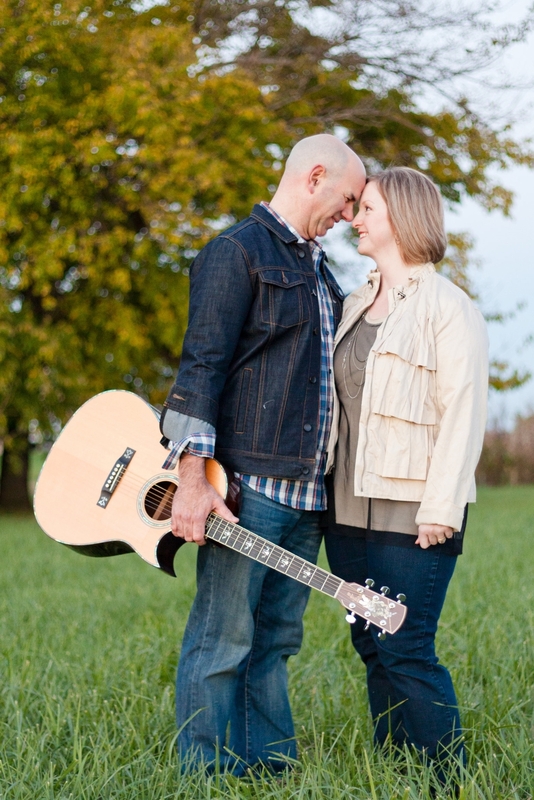 Recognizing God's provincial hand at work in their past heartache, present healing, and future kingdom work, Greg and Heather were married in 2002 and began their speaking, teaching and worship ministry together as One Voice Worship. 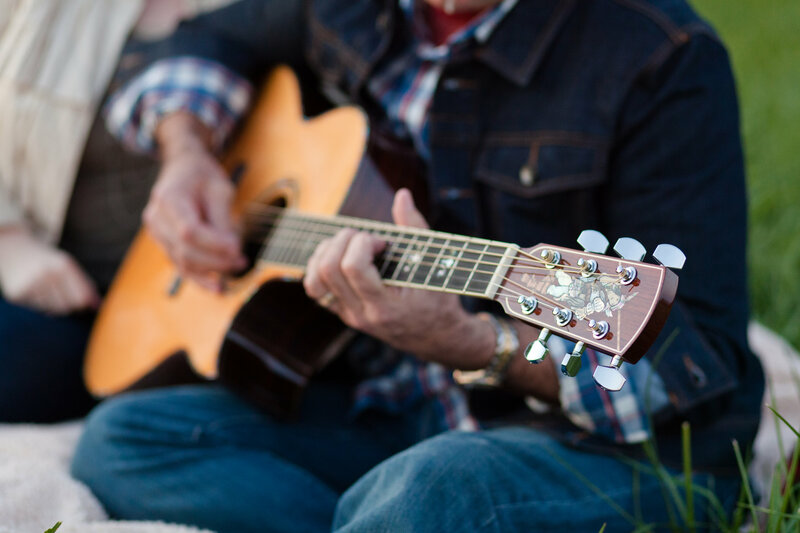 Coupling God's truths and promises found in Scripture with their personal testimony through teaching and music, One Voice Worship provides an authentic and inspired worship experience. With Romans 12:1-2 as their life-verse and their hearts passionate for worship and its vital role in the Christian’s life, Greg and Heather Hitchcock challenge believers to live a life of abandoned faith in Jesus Christ, to daily offer themselves to Him as a living sacrifice, and to embrace with confidence the divine purpose for their lives by becoming all God has created them to be through life's joys, trials, and tragedies. The ministry of One Voice Worship began in their local church, FBC Groveport, Ohio. There, they faithfully served as small group facilitators and worship leaders for the Alpha and FBC Youth Ministry programs, and were co-teachers for the True Love Waits program in 2005. In addition to these areas of ministry, Greg and Heather were members of the worship choir and praise band, participated in a variety of church musicals, and founded a Worship Arts ministry at their church for youth and adults where for nearly two years they facilitated instruction and ministry opportunities for participants in the areas of vocals, guitar, percussion, drama and interpretive movement. 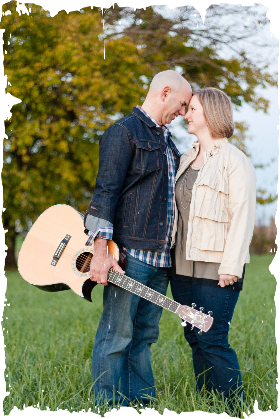 From 2007 through 2009, Greg and Heather served as the Lead Worshipers of High Definition Worship Band for the Saturday night worship gatherings FBC Groveport, OH. Reaching North America For Christ. One Voice Worship’s ministry extends beyond their local church involvement. In June 2008, Greg and Heather gained endorsement from the State Convention of Baptists in Ohio (SCBO) as Certified Worship Consultants for LifeWay Christian Resource’s LifeWay Worship Project. Also, in November 2008, their ministry expanded internationally when they traveled to West Zion Mennonite Church in Alberta, Canada for an opportunity to mentor the youth worship team and speak to over 60 high school and college students for their annual student retreat. Greg and Heather also regularly travel across the country providing worship consulting services to churches, as well as to lead worship and speak at conferences, retreats, revivals, and other church events. As worship consultants, Greg and Heather have taught at and led worship for events such the Ohio State Worship Leader’s Conference in 2007 and 2009, the 2006 Ohio Creative Ministries Festival and Worship Arts Week Camp, the SCBO Annual Meetings in Cincinnati, OH (2006), Bellefontaine, OH (2009), and Cambridge, OH (2010), and in fall 2010 were guest speakers at Cedarville University in Cedarville, OH. In June of 2009, Greg and Heather Hitchcock were appointed as missionaries by the North American Mission Board (NAMB), specializing in strengthening worship ministries in churches across the United States and Canada. That same year, Heather launched her vocal consulting studio, One Voice Studios, through which she provides vocal instruction to Christian music artists, worship teams, and church vocalists using techniques based on the Estill Voice Training System. Once again returning to Alberta, Canada in March 2011, Greg and Heather had the privilege of leading worship and teaching at Olds Koinonia and Red Deer Koinonia Schools during their annual Spiritual Emphasis Weeks. In addition to ministry as One Voice Worship, Greg and Heather travel with the High Definition Worship Band to lead worship throughout Ohio and abroad. Forthcoming ministry projects for Greg and Heather include recording their first and long-awaited worship album, as well as completing an inspirational book, based on their life story, on worship and its ability to transform the circumstances of life into a lifestyle of worship for the believer in Christ. Greg and Heather have two daughters, Melissa and Amanda, and reside near Columbus, Ohio. Violet Baptist Church in Pickerington, OH, is their home church where they enjoy engaging worship, life-changing teaching from the Bible, serving on the worship team, and fellowship in the body of Christ. Their oldest daughter, Melissa, is married and is a stay at home Mom in Alberta, Canada. Amanda, their youngest daughter, is a confections decorator, as well as co-owner of The Jacksons Photography, which she and her husband manage. Lileigh, their beloved German Short-haired Pointer, adds a great deal of energy to their home. In their spare time, Greg and Heather enjoy spending time cheering for the Columbus Blue Jackets hockey team, taking leisurely rides on their motorcycle, reading, watching movies, and spending time in laughter and fellowship with family and friends. To learn more about Greg and Heather's journey, or to schedule them for an event, contact them by visiting the Contact page on this website!